Inspired by the lip-plumping filters you might have seen all over social media, this fabulous formula makes your lips look fuller and wider. 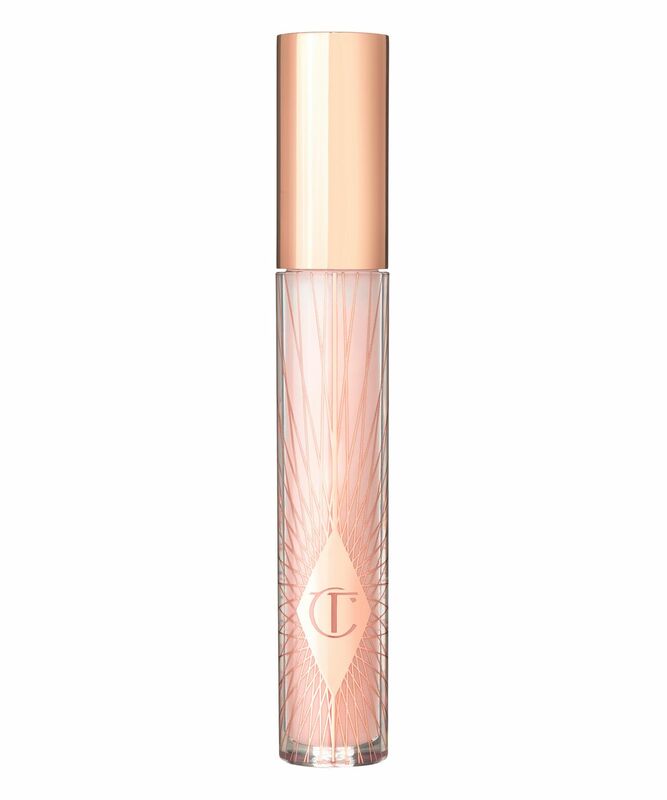 Enriched with firming marine collagen, this hybrid formulation acts as both a treatment and a lip gloss, locking in moisture while imparting a light-reflecting pink sheen. Minimising the appearance of lines and maximising the appearance of fullness, this hydrating, plumping formula will covert even the staunchest gloss-phobes. Sweep on the luscious formula using the adorable heart-shaped doe-foot applicator. After hearing all the rave reviews I decided to buy this product and see for myself. I was rather disappointed. It felt sticky, didn't last long on my lips and it had no plumping effect. For the price it isn't even worth it just as a normal lip gloss as the texture stayed sticky and didn't stay on for long at all. Nice enough, not sure it’s providing anything other than temporary shine. Мне понравился!!! ***I like this!!! Так как много покупают русскоязычных напишу и на русском. Отличная вещь, не липкая, не растекается, губы увлажняет, макияж выглядит вполне законченным даже с одним этим бальзамом! Немного покалывает (вероятно, мята) в самом начале. Стоящая вещь. *** Very good product, it moisturises lips, is not sticky and does not "run". The peppermint gives a really nice effect to the lips. Lips are plumped (a little) and hydrated. Best lip balm/gloss.My lips almost always dry but when I use this collagen lip balm my lips are nourished and plump and never dry. I tried everything before nothing has worked. Love this CT product. I was waiting for this launch since weeks. This stuff is like many products available on the market. I normally love Charlotte Tilbury products, but this one disappointed me very much. It does absolutely nothing to my lips besides giving it an ordinary shimmer like each £5 lipgloss would do. It is definitely not worth the money. Before trying the Lip Bath, I had no idea what to expect. I loved the CT Lip Magic Balm and was gutted when it was discontinued but the Lip Bath is a good alternative. The packaging is pretty and it leaves the lips feeling lovely and smooth, with a subtle sheen. I got Collagen bath when it first launched! I love how thick is the consistency, love a mint smell and how my skin on the lips looks like after using this balm. Beautiful! No colour, smell or taste, transparent, long wearing on the lips.